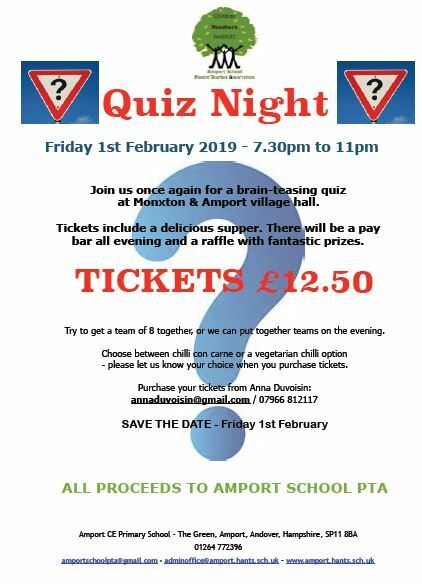 The annual PTA Quiz night is taking place on Friday 1st February in the Monxton Village Hall, from 7.30pm to 11pm. Tickets are £12.50 and include a delicious meal, a mind-puzzling and fun quiz and a great raffle. Plus there’s a pay bar all night. You can either organise a table of 8 people, or we can help put one together for you.